Salzburg is the capital and also a district of the Austrian state of Salzburg or Salzburgerland. The population is about 150,000 and is the 4th largest city of Austria. Its most famous citizen was Wolfgang Amadeus Mozart. Another famous inhabitant of Salzburg was the physicist Christian Doppler who found the Doppler effect which was named after him. The Salzach river crosses the city. The old town was adopted by the UNESCO as World Heritage Site in 1996. Known is Salzburg also for being one of the settings for the movie "The Sound of Music" which based on the musical by Richard Rodgers and Oscar Hammerstein. People lived in Salzburg since the New Stone Age till present. The oldest finding in the city area is dated around 4500 B.C. From 15 B.C. onwards after the Roman occupation the city was called Iuvavum. The roman city was situated in today's old town around the Waagplatz. The city became an important place from the east to the province of Germania. The Romans left on the beginning of the barbarian migration around 500. Up to 696 only few can be said about the history. 696 the city was given to bishop Rupert by Duke Theodo II. of Bavaria. Rupert was orderd by the Duke to bring Christianity to the east and southeast of his country. Rupert founded the monastery St. Peter and for women the monastery Nonnberg. 739 Salzburg became the seat of a bishop and 774 the first cathedral was built. 998 Salzburg became archbishopric ruling the whole Bavarian area. In the Middle Ages Salzburg became wealthy by the trade with salt from the nearby Dürnberg in Hallein. Till th 14th century Salzburg became independent from Bavaria and was a state within the Holy Roman Empire. The citizens of Salzburg were under the command of the archbishop unlike other cities in the empire. In the baroque era the look of today's city was shaped. The cathedral was rebuilt in the baroque style. Most of the architects came from Italy. 1622 a university was founded. Due to the fact that it was a catholic state Protestants had a severe standing in Salzburg. Yet 1731 Protestants, who came not back to the catholic belief had do leave Salzburg within eight days. In the early 19th century Napoleon Bonaparte promoted the Duchy of Salzburg, than later was a part of the Kingdom of Bavaria. Then, Salzburg was annexed by Austria, returned to Bavarian and divided between Bavaria and Austria. 1918 Salzburg became a federal state of the new Republic of Austria. In 1938 Germany annexed Austria and Salzburg was a part of Germany. 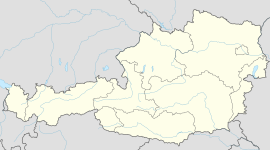 In 1945, when Austria was independent from Germany, Salzburg became a federal state again. Wikimedia Commons has media related to Salzburg (Stadt). - Article by Brian Robins: "Mozart's Salzburg". Salzburg City Tourist Office – Official tourist board website. Salzburger Nachrichten – Tourism site maintained by the local newspaper, Salzburger Nachrichten. Georgia Salzburger Society – The website of the Georgia Salzburger Society, descendents of the refugees who settled in Georgia after their expulsion from Salzburg in 1731. ↑ "Dauersiedlungsraum der Gemeinden Politischen Bezirke und Bundesländer - Gebietsstand 1.1.2018". Statistics Austria. Retrieved 10 March 2019. ↑ "Einwohnerzahl 1.1.2018 nach Gemeinden mit Status, Gebietsstand 1.1.2018". Statistics Austria. Retrieved 9 March 2019. This page was last changed on 30 March 2019, at 13:06.